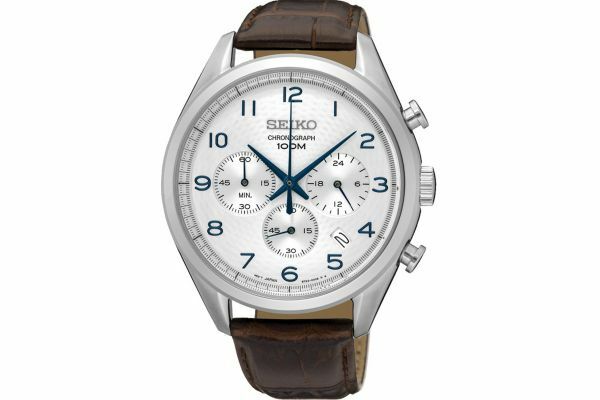 Men's Seiko stainless steel brown leather sports chronograph strap watch with a round 42mm case. Has a white textured dial with stunning blue numerals and hands, a date display window and three chronograph sub dials. Features a brown crocodile patterned leather strap with a stainless steel buckle. Powered by a quartz movement and comes with the Seiko 2 year guarantee.